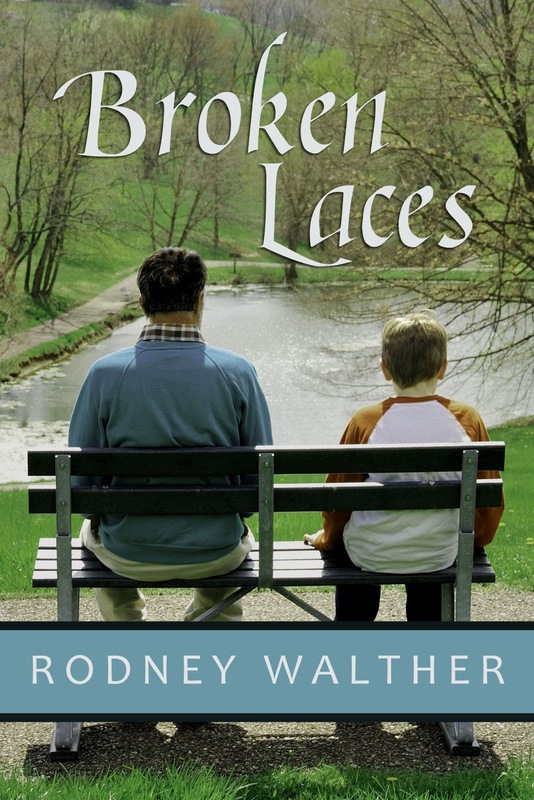 Ana Mardoll's Ramblings: Author Interview: Rodney Walther on "Broken Laces"
Author Interview: Rodney Walther on "Broken Laces"
Ana: Today we have Rodney Walther introducing his novel, BROKEN LACES. I haven't read this book myself, but Rodney was kind enough to agree to guest blog about his book to any readers who might be interested in the subject. Rodney, how would you describe your novel to your prospective readers? In broad terms, what is your novel about? Rodney: Thanks for the opportunity, Ana. BROKEN LACES is an emotion-packed story that features a suburban workaholic who doesn’t understand the importance of family until he faces life as a single parent. Set in a fictional Little League in the Houston suburbs, BROKEN LACES explores the importance of father-and-son relationships, the struggles of shared grief, and the redemptive power of baseball. Rodney: A main theme of BROKEN LACES is learning to appreciate and nurture the important relationships in one’s life. The main character starts the book generally disengaged with his family, satisfied to be on the periphery of their lives. When his wife dies, he faces the consequences… and has to learn the importance of being fully involved with people he cares about. Readers may find themselves both rooting for the hero and wanting to slap him upside the head. But that’s okay—readers should become emotionally invested in the characters of a story. Rodney: The readers who enjoy my book include both women and men—and they’re usually parents. Because BROKEN LACES deals with a damaged protagonist, complicated (er..., dysfunctional) family dynamics, and redemption, it is often compared to works by Jodi Picoult and Nicholas Sparks . Thematically, it’s more like Jodi Picoult. Finally, people who enjoy sports, especially baseball, find familiar ground as I confidently take the reader from the bleachers through the dugout and onto the field. But as many reviewers have said, BROKEN LACES is so much more than a sports story. Rodney: BROKEN LACES is my debut novel. I’ve been fortunate to garner a number of awards for my novel-length fiction, including contest wins from Houston Writers Guild, Maryland Writers' Association, North Texas Professional Writers Association, Panhandle Professional Writers, Crested Butte Writers, and West Virginia Writers. BROKEN LACES was also named a quarterfinalist in the 2011 Amazon Breakthrough Novel Awards, featured by Amazon in summer 2011, and rose to the Top-250 of all Amazon Kindle books. It’s consistently #1 or #2 in multiple Amazon categories, including Sports Fiction, Baseball, and Death & Grief. I am working on a new novel, tentatively called PARTING SHOT. It mines similar themes of regret and forgiveness, and features a former astronaut who is raising a teenage daughter confined to a wheelchair. A love interest develops between the astronaut and a TV news reporter, but complications threaten to keep them apart. It’s been compared to FINDING NEMO and THE ACCIDENTAL TOURIST (try to work that out!). Rodney: BROKEN LACES is available in paperback or e-book format (Kindle, Nook, iBooks, etc.). My website (www.RodneyWalther.com or www.BrokenLaces.com) always has the latest news. And I’m on Facebook as well. I always love to hear from readers. Please contact me at rodney@rodneywalther.com, especially if you’re interested in including BROKEN LACES for your book club. Ana: Thank you, Rodney. I understand you have the first chapter of your novel available as an excerpt for interested readers? And is there anything else you wish to add for our readers? Rodney: The award-winning first chapter of BROKEN LACES is available at in PDF form. Meet the hero, his wife, and his son, and witness the tragedy that strikes their family. Another award-winning first chapter, this for a different work in progress (WHITE CHALK ROAD) is also available in PDF form. Hang on to your hats—WHITE CHALK ROAD will have you wondering if *anything* can go right for this poor lady! Great interview! Thanks for sharing this author with us. What a great interview. And what a wonderful story! It's on my wish list. I love the angle Rodney's novel takes. i read PARENTS BEHAVING BADLY, which deals with some of the same themes, with Little League as backdrop. Rodney's book is moving up on my Pile (it's been a ms-heavy year for me) and I am really looking forward to it! Nice interview--good to get these extra insights.